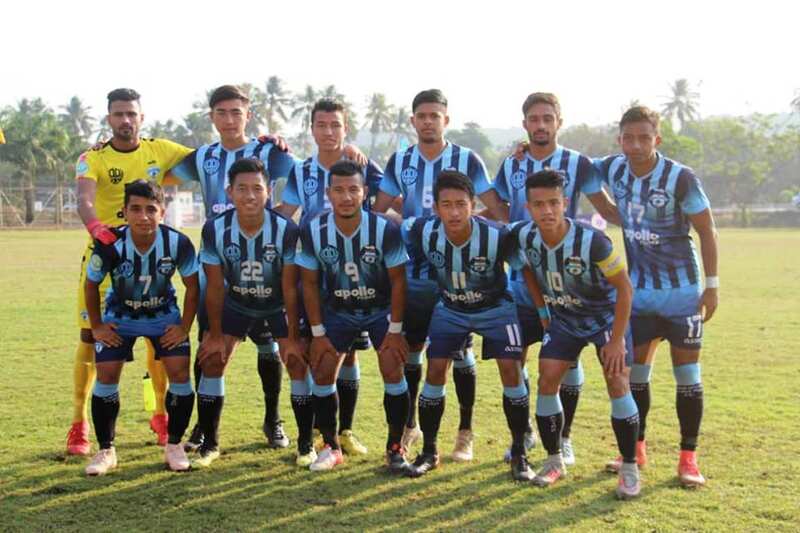 GOA: Minerva Punjab FC, who had a fairytale 2017-18 season, winning three National football titles across age-groups as well as the senior title, are however yet to taste success in the U-18 National competition. But, coach Sanjay Kumar Dey along with his young Turks are confident of breaking the jinx this time, having qualified for the semi-finals of the Hero Elite League for the very first time. “Yes, we are aware of the fact and it hurts. We are looking forward to pushing our limits to break the jinx. We’re definitely going to put up our best performance tomorrow,” said the coach. Minerva has always advanced to the Final Rounds of the Hero Elite League over the last three seasons but had never been able to advance further than the semis, unlike this season. But, coach Sanjay Dey feels the job is far from over and they have to continue working hard until it is done. “We’re confident about our abilities and we’re going to face them as a complete team. We don’t focus on any individual, but the entire team. One individual player might come up with surprises but we are taking the entire team into consideration,” he added. On the other hand, FC Goa U-18 coach Gavin Elias Araujowe, urges football lovers in Goa, to come out in numbers and support them, when they come out to play Minerva Punjab FC in the first semi-final of the Hero Elite League 2018-19, at the Nagoa Ground in Goa tomorrow (February 6, 2019). “As Goans, we always like to play at our home. Moreover, we’d love to see our supporters coming and cheering for us tomorrow at the Nagoa Ground”, the coach said less than 24 hours before their maiden appearance in the semi-final of the Hero Elite League. After finishing just below Salgaocar FC in the zonal round, the Goan side finished at the top of the Group A in the Final Round to advance to the quarter-finals where they beat SAI Guwahati to secure the semis spot. “We are in good shape and the boys are confident before tomorrow’s game. We had a good game in the quarters and we’ll try to maintain the momentum,” he added. Clifford Miranda, who needs no introduction in Indian Football, would be present at the FC Goa dugout tomorrow and FC Goa coach Gavin Araujo heaped praises on the former India International for his contribution to the team. The match will kick-off at 09:00 AM and it’ll be streamed live on I-League Official Facebook page.